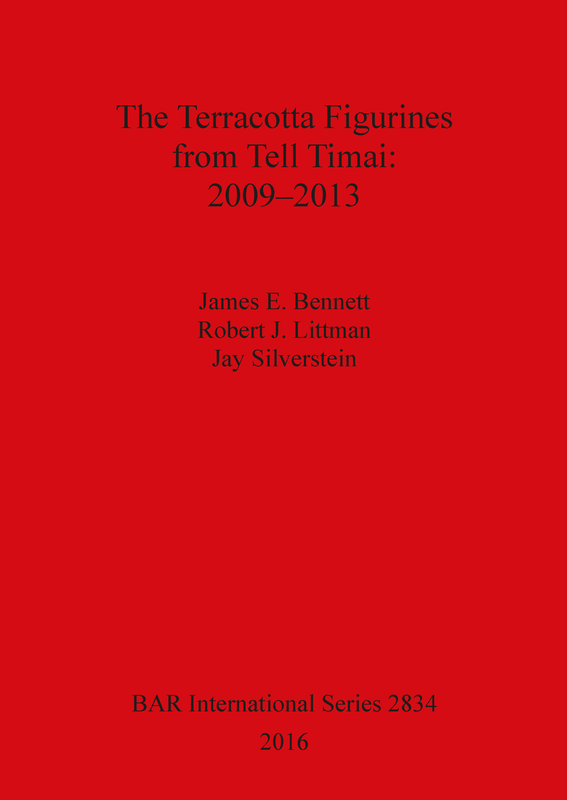 This study documents the corpus of terracotta figurines that were found during excavations at Tell Timai between 2009 and 2013. The study assesses the locations in which terracotta figurines have been found both at Tell Timai and across Egypt, and discusses their usage within the settlements of Pharaonic and Ptolemaic-Roman Egypt. In addition, a chronological discussion of terracotta usage in Egypt from the Pharaonic to the Ptolemaic-Roman Period is presented to place the Tell Timai terracottas in chronological order to highlight themes of continuity and change. The figurine catalogue provides a detailed examination of the types and forms represented at Tell Timai and highlights the manufacturing techniques and decoration schemes used for specific types. This analysis also provides a clearer idea of the type of domestic religious activities that were practised at Tell Timai by the local population and the choice of terracotta styles used at specific periods. The study also provides date ranges based on associated ceramic assemblages to provide clearer dating for Egyptian terracotta types in Egypt. James Bennett is a PhD Researcher at Durham University studying the settlements of the Third Intermediate Period in Egypt. He is a former co-chair of the permanent committee for the Current Research in Egyptology conference and is the field director of the Egypt Exploration Society mission to the northwest area of Tell Timai. He has also excavated in Egypt at Sais, Tell Mutubis and Athribis in Upper Egypt. Robert J. Littman is Professor and Chair of Classics at the University of Hawaii at Manoa. He is the Director of the Tell Timai Excavations, where he has excavated since 2007. A former Trustee of the Archaeological Institute of America, he has published numerous books and articles in Greek history, literature, archaeology and Egyptology. Dr Silverstein has a doctorate in anthropology, with an emphasis on the rise and fall of complex societies. He holds positions at the University of Hawaii in Anthropology and Classics, works with the US Government in the archaeological search and recovery of the remains missing military personnel and has directed archaeological projects in Mexico, Guatemala, Europe, Asia and the Pacific. He has served as the co-director of the Tell Timai Project since its inception in 2007.